Whether you occupy your own property or let it out to tenants, it’s a good idea to have a landlord insurance policy in place to protect your assets from any unexpected damage. At Arkwright, our expert team of insurance specialists can help you to find the right policy to match your unique requirements. A landlord insurance policy goes much further than standard home insurance, which provides cover for the building and/or contents of your property. It can also protect you for loss of income if your tenants are unable to pay their rent, or provide financial cover if you're deemed to be liable for accidents or injuries resulting from any negligence on your part. Landlord insurance isn't a mandatory legal requirement, but having the appropriate cover in place can make a significant difference to you and your property. If you own any type of property - whether it's residential or commercial - it's ultimately your responsibility to deal with any issues that could pose a problem for you or your tenants. The main difference between landlord's insurance and standard homeowner's insurance rests in the eyes of insurers. They will weigh up the potential risk of claims based on who is occupying the property and for what purpose. A homeowner living in their own residential home is less likely to make a claim than renters in a property they don't own. If you own a commercial property and let this out to a business owner, a suitable landlord insurance policy can work in much the same way to cover the building, its contents and your income flow. Additionally, liability insurance will be able to cover the costs of damages brought on from somebody being injured on your property. What should a typical landlord insurance policy cover? Buildings insurance: this will cover you for the costs of repairing any structural damage to your property. 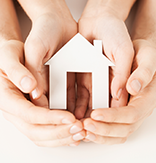 Contents insurance: if you own any non-permanent fixtures in the property, you can receive cover for your possessions. However, your tenants will need a separate contents policy for their own items. Accidental/malicious damage or theft cover: provides cover in case your tenants accidentally or intentionally cause any significant damage to your property. Rent guarantee: there may be times where your income is affected, either by tenants not paying their rent or if they need to be relocated should the property become uninhabitable. Legal expenses cover: if you should be in a situation where a dispute arises between you and your tenants, this can cover the cost of any legal action you need to take. Unoccupied property insurance: there may occasionally be periods between tenancies where the property is completely vacant. This cover can keep your property protected as long as you can make regular checks to ensure it remains safe and habitable. If you're letting out a residential property, your insurer may also want to know of the kind of tenants you intend to rent to. Whether you'll rent to students, professionals or those receiving housing benefits, this can greatly affect your premium. 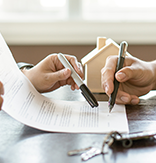 In some cases, an insurer may not be willing to cover certain tenant categories, so it's important to declare your intentions so as not to invalidate your policy. Arkwright Insurance offers a range of insurance policies for tenanted properties, encompassing residential and commercial premises. We know how valuable your property can be, which is why we're committed to helping you find the best possible deal to suit you. What's more, we always aim to beat any quote you've received elsewhere. Our policies are flexible and scalable, so we can adapt levels of cover to suit your unique circumstances. With many different types of cover available, you can find out more information on specific policies by exploring our Specialist Insurance sections below. Speak to one of our team today by calling 01204 392 525 and we can discuss your needs and provide a competitive quote for a tailored landlord insurance policy that suits you. As the property owner, get covered with building and contents insurance for your tenanted properties. 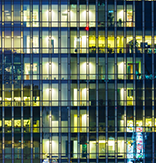 Commercial property landlords need to have insurance, as they are subject to various risks for the building. For a specialised situation, a tailored insurance policy is required depending on the location or construction of your property. 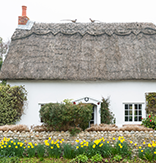 Protect yourself against the elements as a flat or thatched roof may be more likely to face damage and require rebuilding. Listed buildings must be insured by an entirely bespoke policy that requires specialist attention. Insurance is still vital for an unoccupied building, especially if your property is left empty for a long period. A rent guarantee insurance policy can provide a peace of mind in situations where rental income is affected. Legal cover can help with recovering rent arrears and provide legal support for any claims against your property. 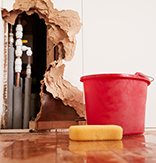 From leaks and burst pipes to electric faults, get one complete policy to cover a range of home emergencies and incidents. If your property is in an area at risk of flooding, additional cover is needed to protect your building and contents. Cover the costs or damages if somebody makes a claim after having an accident on premises you own.